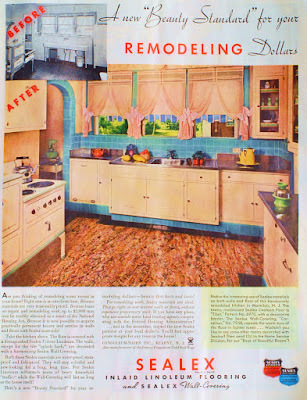 Farm Girl Pink....: ~ Kitchen remodel @ 1934.... with Sealex floors! 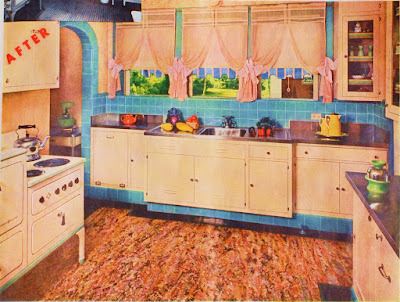 I never get bored at looking at these vintage kitchens. This beautiful bright kitchen is a remodel from 1934. So much bold color done in a very fun way. I do like these Sealex Linoleum Veltone floors. And how they really do not match a thing in this kitchen. But yet they really do compliment the over all look. Oddly enough, the walls are done with Sealex wall covering. It is fade proof, water proof and stain proof. Makes you wonder what exactly was in that paint, doesn't it. 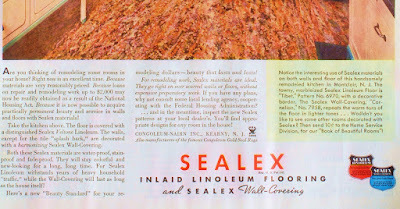 The turquoise tile was not made by Sealex. Then of course, there is splashed of Jadeite glassware, all over this new updated kitchen. At least the white enamel gas stove was saved. Though I suspect that was a hot stove to cook over daily. 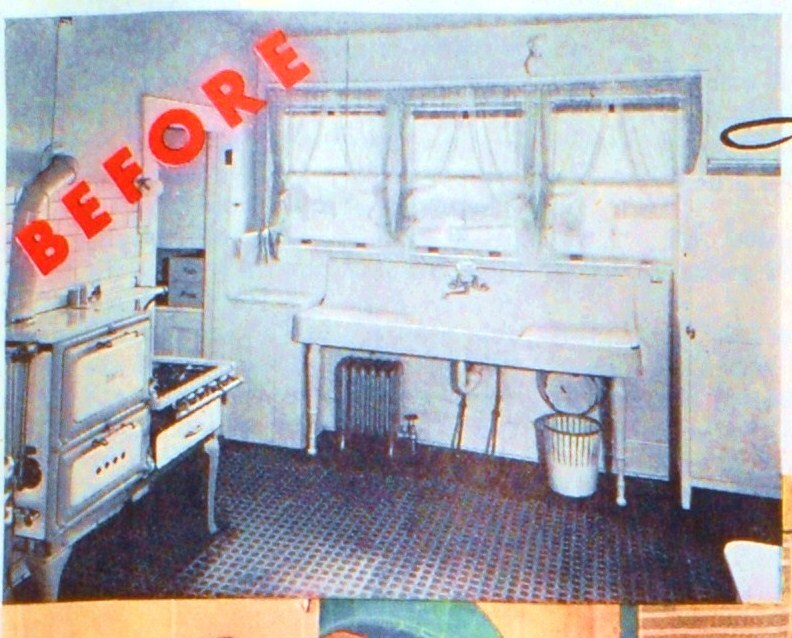 I would love to have that old sink!